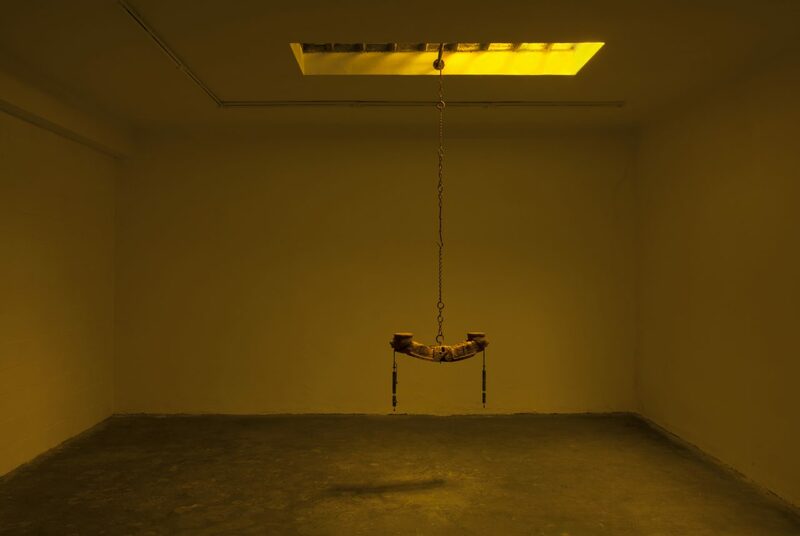 Giorgio Galotti is pleased to present the first solo exhibition by Andrea Magnani with the gallery. 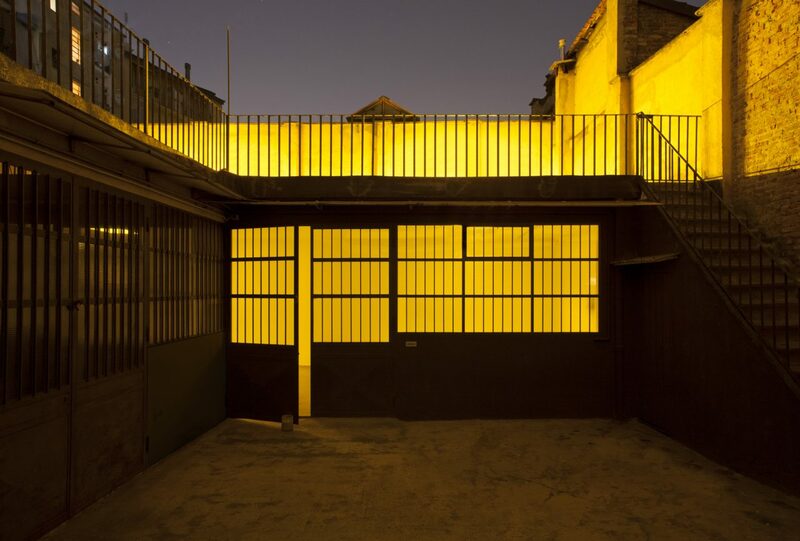 The project consists of a site-specific intervention designed for the space in Via Beinasco. 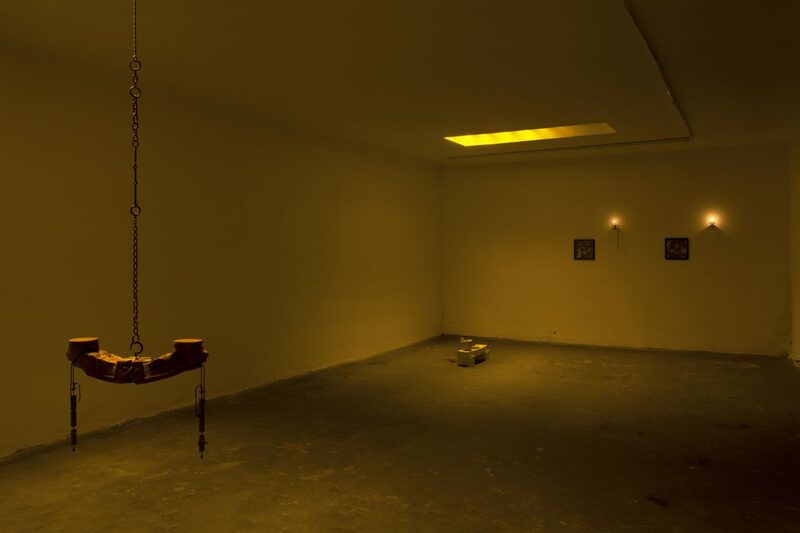 The environment illuminated exclusively by outside lights creates a dimension in which the spectator is invited to relate to the place and the sculptural objects in a warm, dense, taut atmosphere. 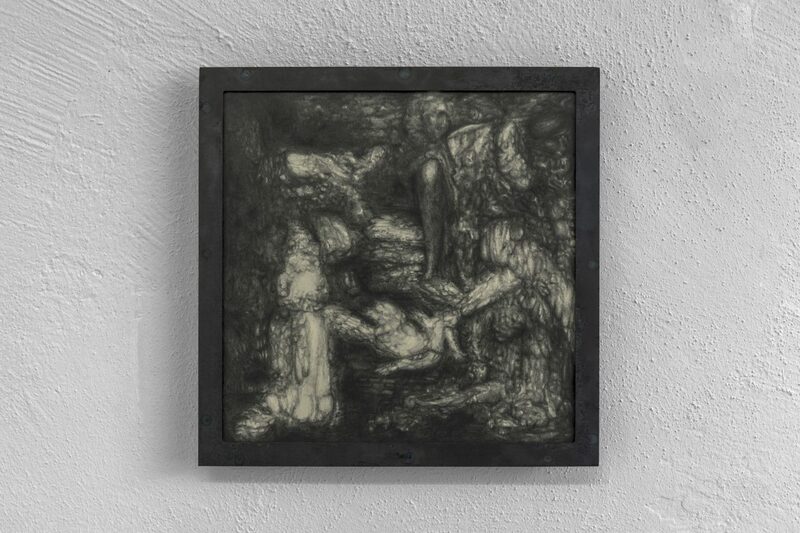 A kind of multi-material balance has an hand-carved fulcrum from a single block of oak that bears the appearance of two savage faces, half sculpted with sunlight and the other half during the night. 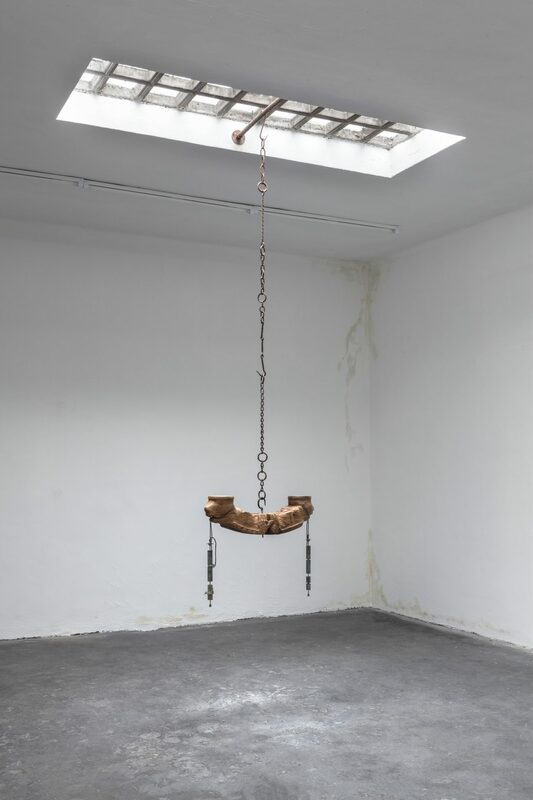 From the mouths it hangs two sets of weights in oxidized brass replicated also in the second sculpture, made of Vicenza stone, together with a series of objects in ceramic and wrought iron used for the production of micro castings in plaster. 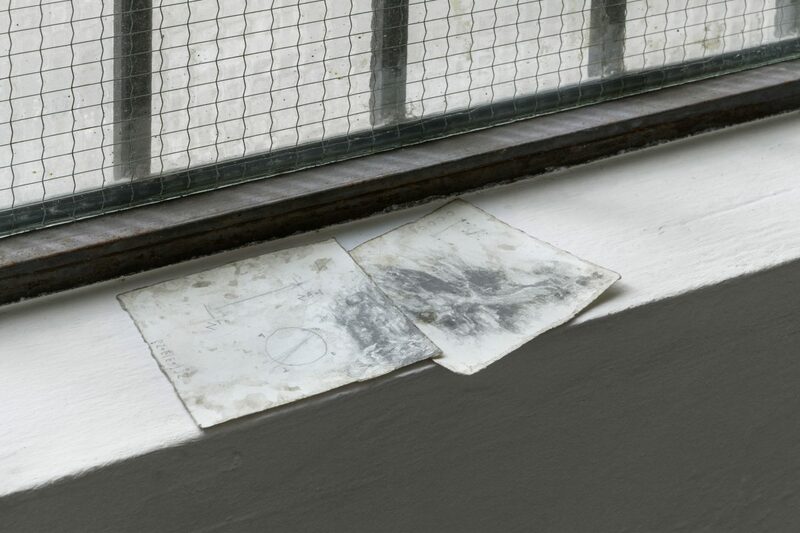 Two graphite drawings on the walls and illuminated by oil lamps recreate the same mechanism of the exhibition in the eye of the viewer, triggering a struggle to rebuild its meaning in the spectator. 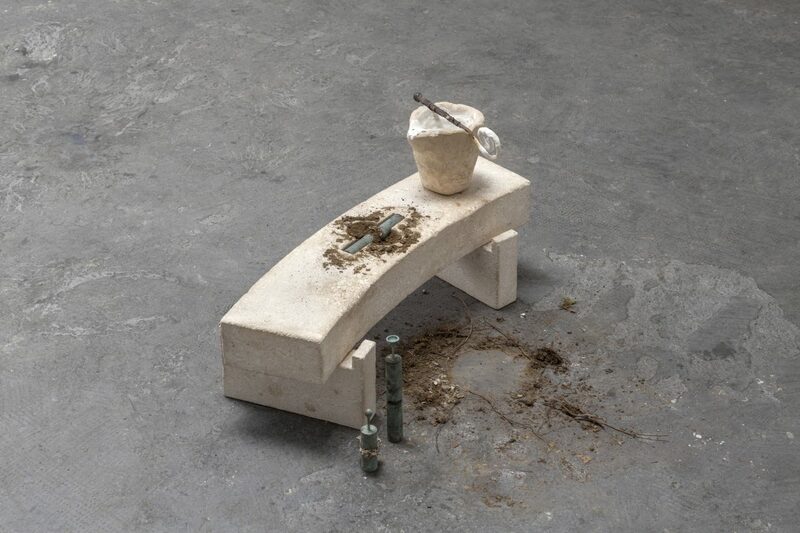 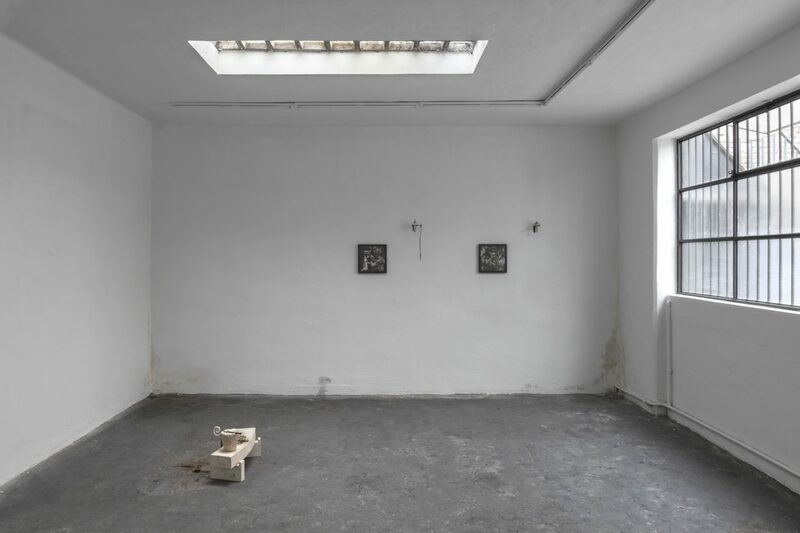 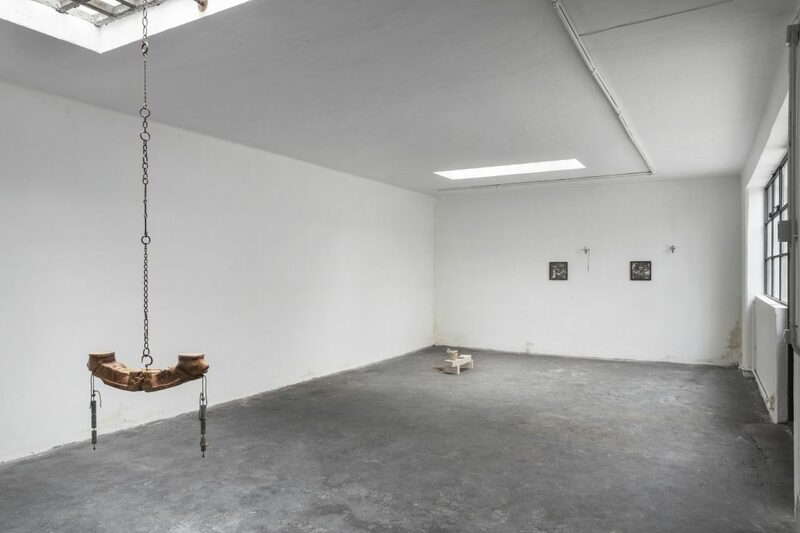 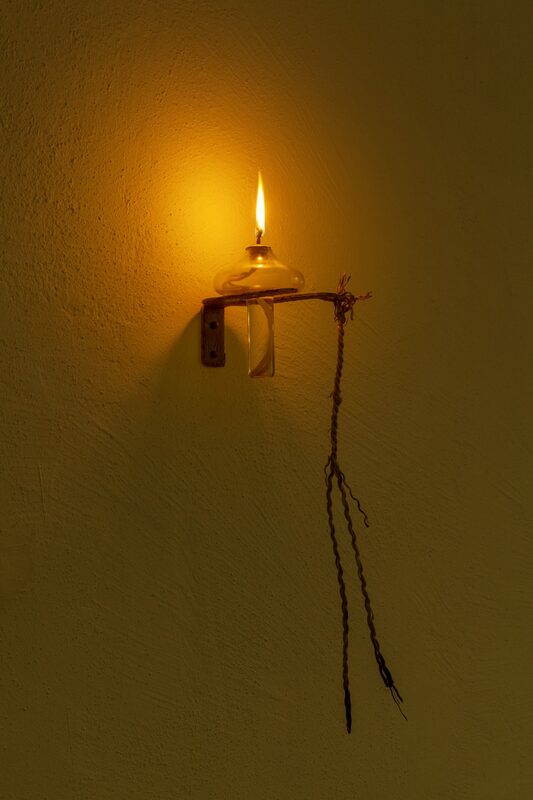 Andrea Magnani, Installation view at Giorgio Galotti, Turin, 2018.